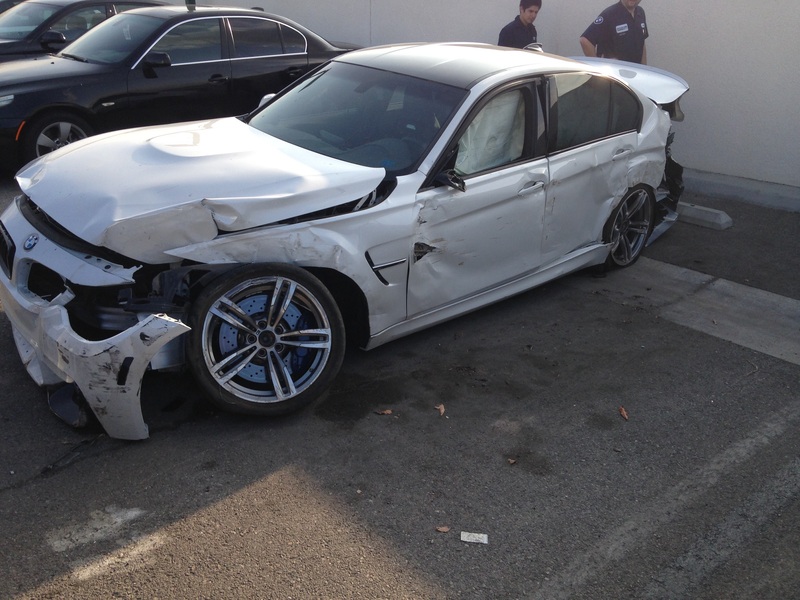 I know what can I say,,,,but wow,,,,,bran new M3 destroyed,,,,the front and rear subframe was torn away from the car,,,,almost all the airbags came on,,,the whole motor shifted inside the engine compartment. 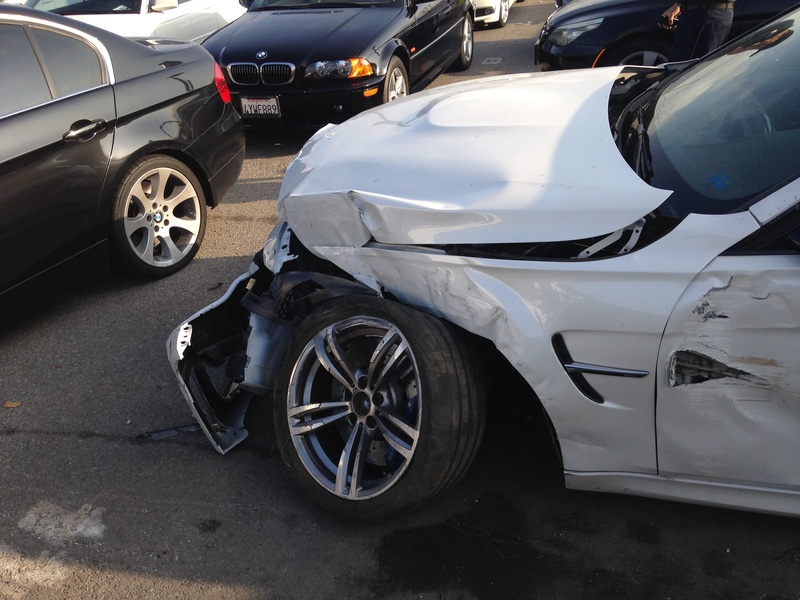 You can see how badly the left front wheel is turned and tucked under the car,,,,this is a total loss,,,here’s another good example of to much power and the customer doesn’t know how to drive and handle this car,,,,,I have always said,,,,,you go to a driving school to learn how your high performance car handles,,,,and how to control your driving and know your driving limits. 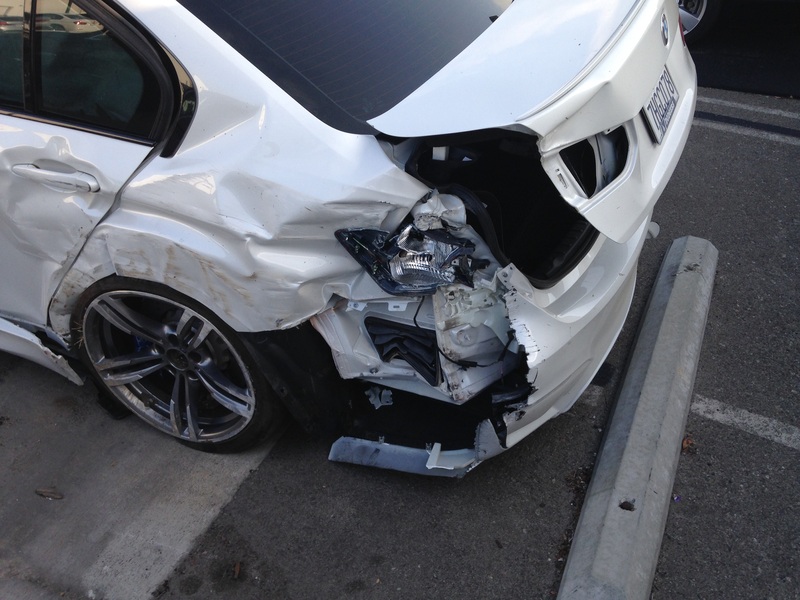 This entry was posted in Uncategorized and tagged crashed, M3 totaled. Bookmark the permalink.